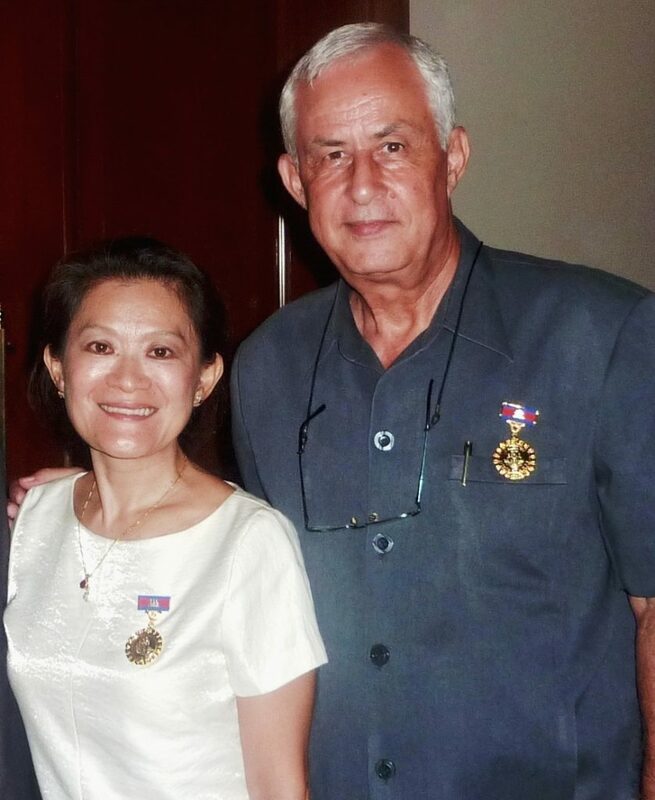 Jean Luc and Pannee Temmam, project managers of FCF Project Cornerstone, were awarded the Gold Medal of National Construction by the Cambodian Government for their good works in the country. During a ceremony at the 5-star Himawari hotel, followed by a grand banquet, Cambodian Director of the Ministry of Social Affairs, His Excellency Mr San Sophol, awarded the Medals to Mr. and Mrs. Temmam in the presence of representatives from the Embassy of Thailand, the Thai Business Association, and top officers of St John Ambulance brigade from Singapore, a few other Excellencies from various Cambodian Ministries, and many of friends and supporters. The Prime Minister of Cambodia also sent them a special letter of gratitude.